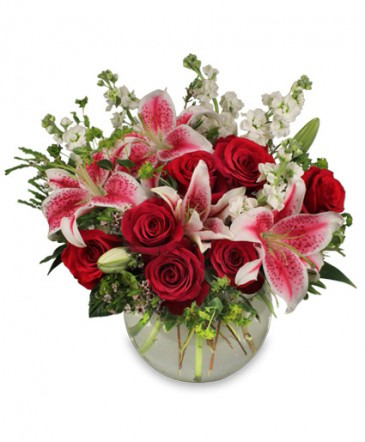 Bubble bowl arrangement with red roses, stargazers, white stock, pink filler and nice greens. Ready to give a sight of love. 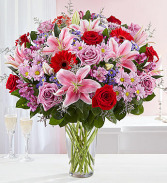 A tall and full arrangement in a clear vase with red and lavender roses, pink lilies, red Gerbers, lavender daisies. 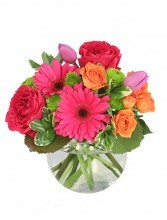 purple alstromeria, purple and lavender fillers. 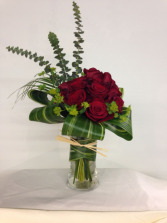 One dozen of red beautiful roses arranged elegantly in a cylinder glass vase with aspidistra leaves.